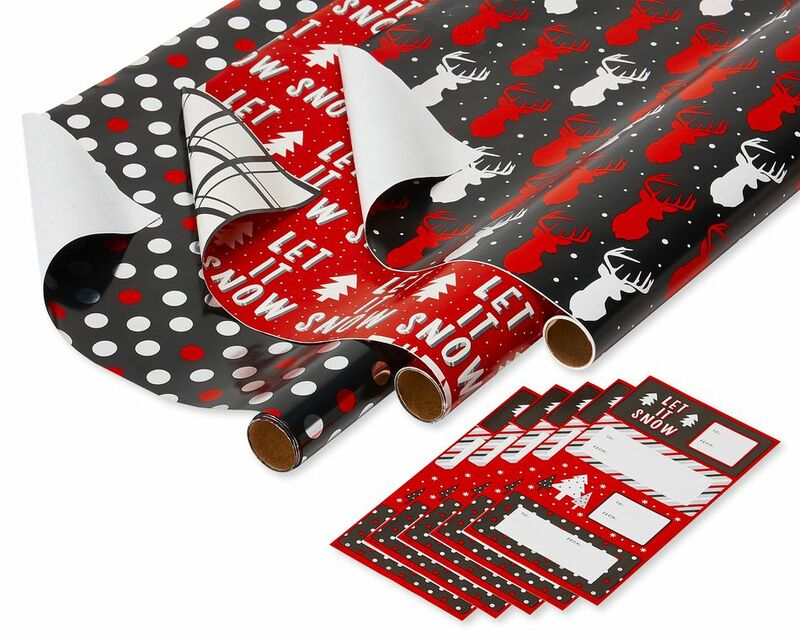 Share the jolly with an all-in-one holiday wrapping paper ensemble kit! A great value, this amazing wrapping paper set includes 9 rolls of gift wrap and 60 gift tags for all your gift decor needs. 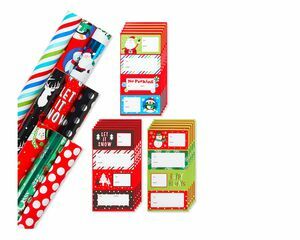 From fashion-forward and trendy looks for adults to bright and fun character designs for kids, this just-right mix of roll wrap patterns gives you a variety of choices for multiple gift recipients. 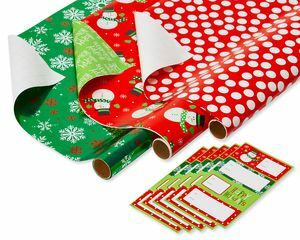 Three foil wrapping paper designs and three paper prints include gridlines on the reverse side so you can cleanly cut and measure the wrap you need, saving you time and reducing waste. Another three wrapping paper designs feature reversible patterns, giving you six different looks! That’s a total of 12 different patterns in one convenient kit. 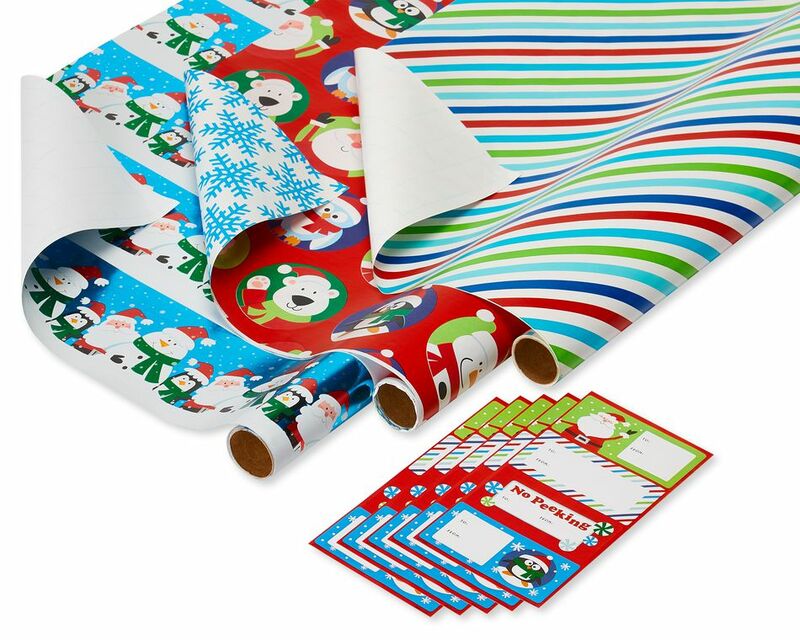 Nine standard-size rolls feature durable paper in a continuous roll (no creases!) that’s easy to cut, wrap and fold, and can cover all (as many as 6 shirt boxes!) your gifts. Flex your creativity with unique paper folds, contrasting textures and patterns for added dimension. 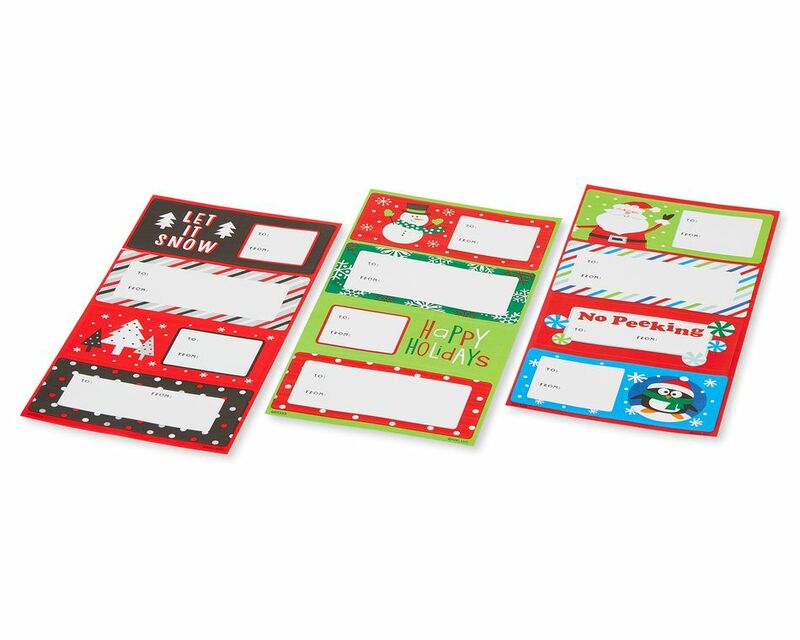 Attach the coordinating gift tags to polish off the look. Perfect for Christmas, winter birthdays, and other seasonal celebrations. This kit also includes 3 simple wrapping paper and gift tag patterns that could be used to wrap gifts year-round. The gift wrap ensemble kit makes wrapping presents easy and fun! 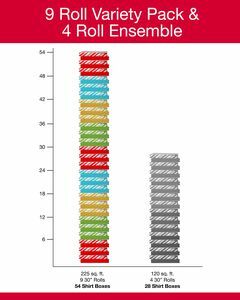 Each roll measures 30 inches wide by 8 feet, 20 square feet for a total 225 square feet per pack. Each roll can wrap approximately 6 shirt boxes that measure 15 inches x 9.5 inches x 2 inches. 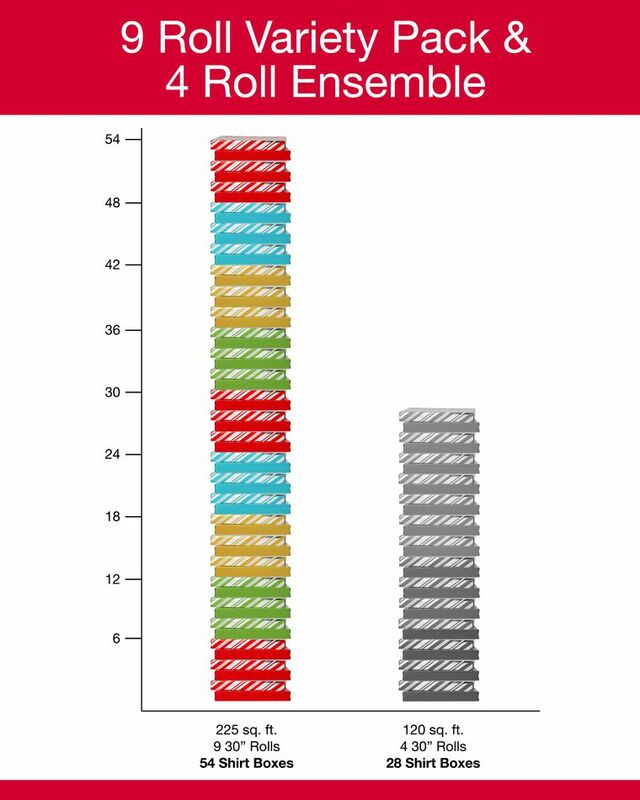 The 9 roll pack can measure 54 shirt boxes! 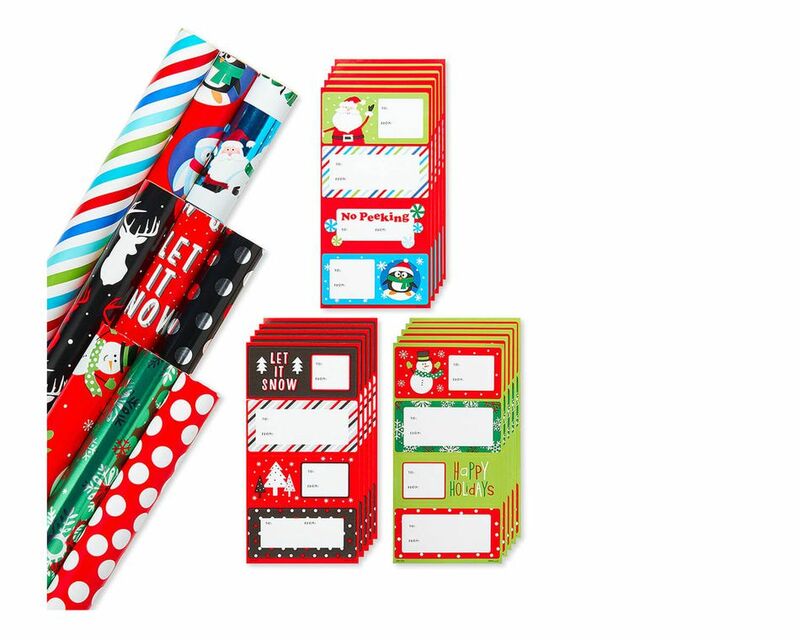 The multiple coordinating designs will add variety and versatilty to your holiday wrapping!